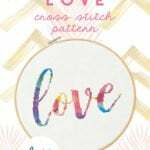 This beautiful and colorful “love” cross stitch pattern can be completed in no time and has a lovely watercolor effect. This pattern is part of my cross stitch series! 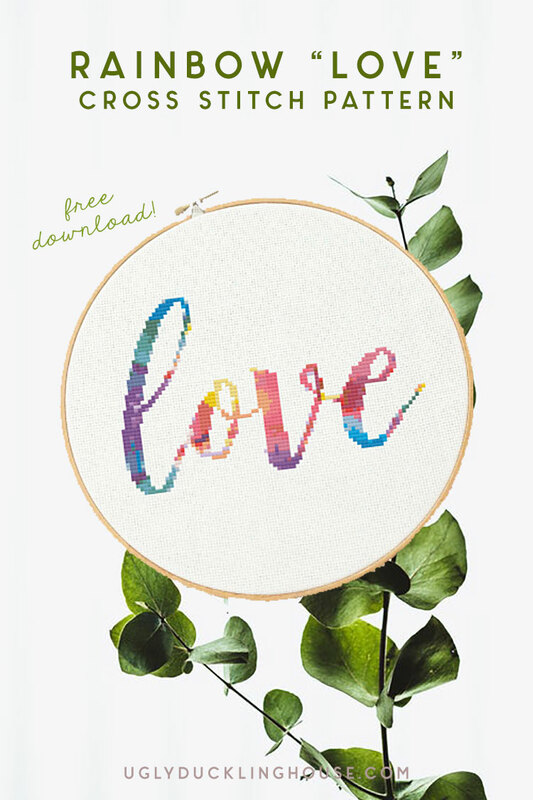 Each month, I’m sharing one new free cross stitch pattern to blog subscribers. Find more details and get my downloads here. Hey friends! It’s the first of the month, so that means a new pattern! I came up with this idea several months ago, thinking that would give me plenty of time to stitch it for real, but this winter had other plans. I’m still letting you have at it with a little time before Valentine’s Day if you want to tackle it as a gift, but I think it’s also a simple enough cross stitch pattern for a gallery wall year-round. 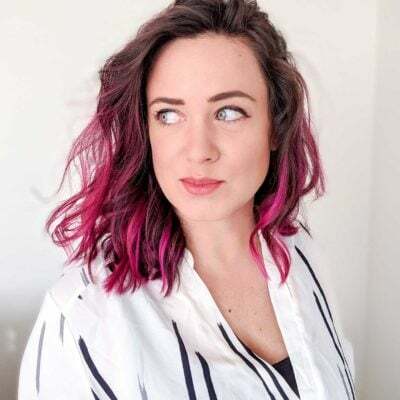 I like it because it uses a wide variety of colors in a dappled or layered effect, rather than solid color blocks, which I’ve seen a lot of and wanted to do something a little different. Going a little abstract with these bolder colors felt sophisticated and grown up to me. If you aren’t keen on the exact colors or want to do it in more of a monochromatic colorway (such as to match your home decor’s color scheme), feel free to swap out the thread colors with ones you have available. It will still look awesome since it’s meant to be colorful regardless. This is also my first attempt at doing a lettered design, so I hope you enjoy! That’s beautiful and such a great message! Thanks for sharing…I am definitely going to stitch it! Awesome! Glad you like it, Ann!